The Little Owl (Athene noctua) is a bird which is resident in much of the temperate and warmer parts of Europe, Asia east to Korea, and north Africa. 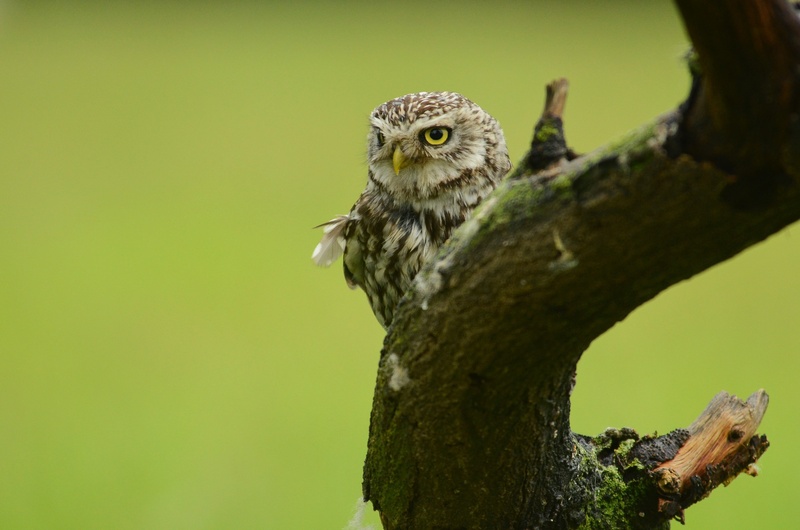 The photographs below were taken in the UK, but the Little Owl is not native to the UK, it was first introduced in 1842 and is now naturalised. The RSPB estimate there are more than 6,000 pairs in the UK. This is fascinating for me as here in Denmark we also have some fantastic farmland (the Little Owls prefered habitat) yet there are only a handful of breeding pairs. 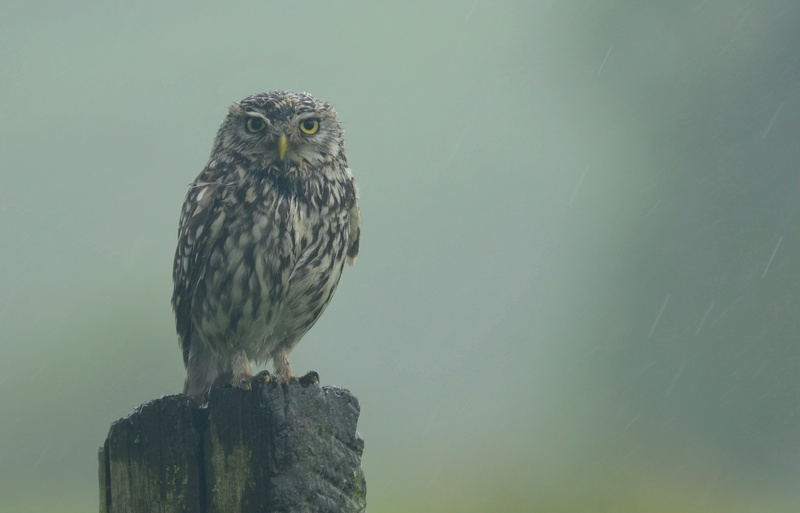 Small in size, but not in character, the Little Owl is a small owl, some 23-27 cm in length. In Danish the name is “kirkeugle” translating to Church Owl. This is often a view shared across Europe due to the Little Owls penchant for churchyards. The “most famous” pair in Denmark “live” opposite a churchyard in the farmlands of Jutland. Remarkably the above two photographs are of the same bird, the photographs were taken approximately two hours apart in the usual unpredictable English weather. This entry was posted in Birds, Europe, Nature, Owls, Photography and tagged Birds, England, Owls, Photography, Travel. Bookmark the permalink. Beautiful little bird, great photography! I love owls! Excellent blog Mark!